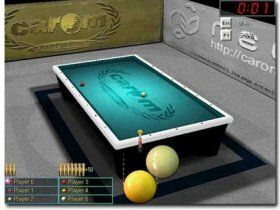 Caiman free games: Carom 3D by Neoact. 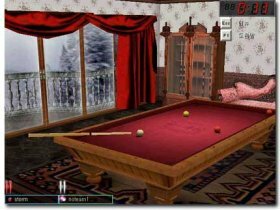 This 3D billiard game is playable only online. 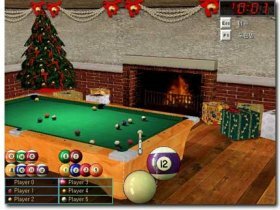 There are many game modes: 3 ball, 4 ball, 6 ball, 8 ball, 9 ball, Rotation ball, Snooker. Practice mode is also possible, however it is very limited. change view from 3D to 2D - TAB. om te schieten: hou Ctrl ingedrukt, beweeg muis naar achteren en vlug terug naar voren. Launcher, will download the latest version of Carom3D automatically .